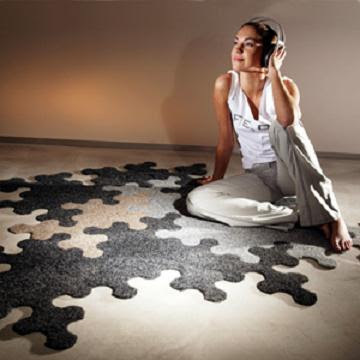 Puzzle Rug: Designed by Katrin Sonnleitner, the collection includes the classic Puzzle Persian rug with 9 Persian rug colors, the Puzzle Persian BW with black & white pieces. 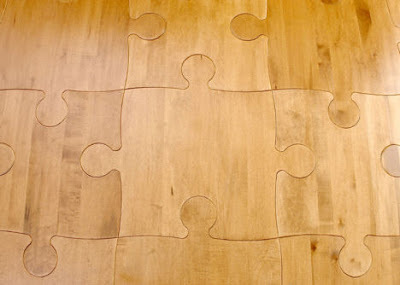 The Puzzle Green with four green tones is ideal for a botanical wall decoration. 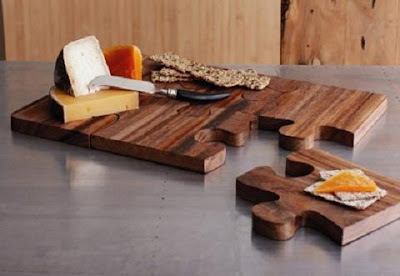 Puzzle Serving Board: Easy to clean and handy; this board separates into 6 pieces which can be separately used to serve your party guests. 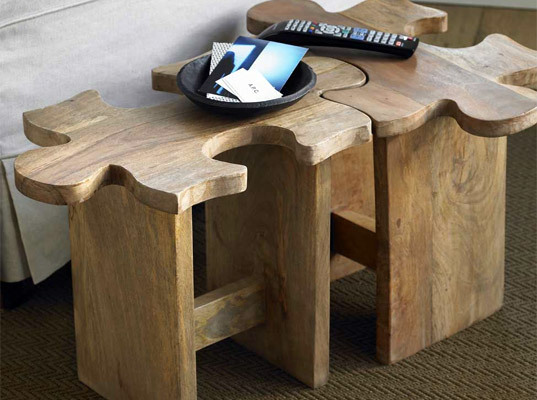 Solid Beech Table: This is made entirely from solid beech and consists of individual pieces that can be joined together to create a unique occasional table. 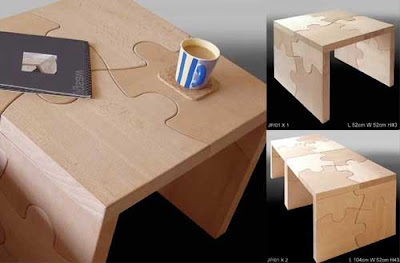 Puzzleboard: This board by OOOMS can be used in more than one way: "each board can be used on its own as a cutting board or serving plate, or put some boards together and you have super-sized your workspace." 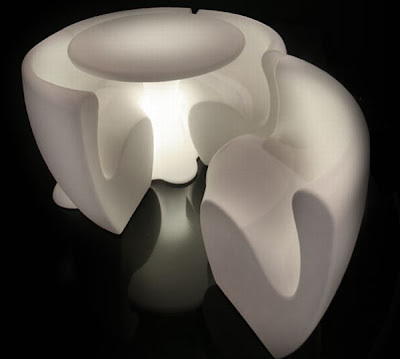 Puzzle Lamp: Designed by Slide Italian Design, it's a luminous multifunctional lamp with a design inspired by puzzles that can take on a variety of forms to suit your needs and imagination. Puzzle Bench: Designed by VivaTerra, it is made from sheesham wood, and can be used individually or linked with one or more to form a bench or a mini-table. 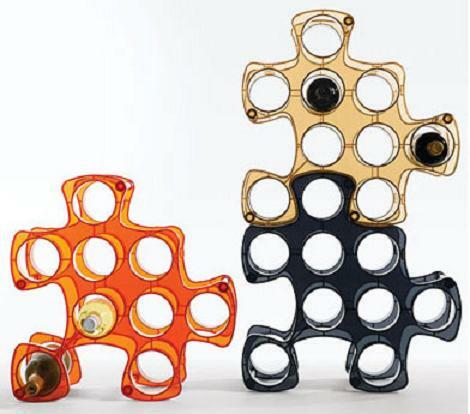 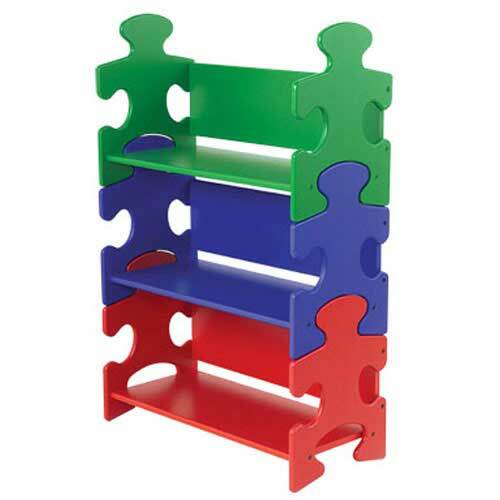 Puzzle Rack: Designed by G Dagan, this modular puzzle rack can be connected in almost endless configurations. 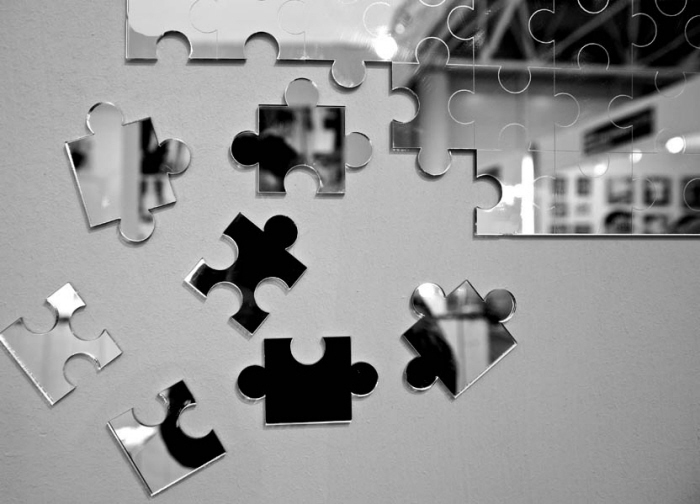 Mirror Puzzle: This cool puzzle inspired mirror can be put on the wall vertically or horizontally. 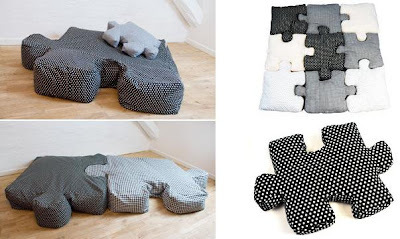 Puzzle Pillows: Pillows inspired by puzzle pieces, these can be puzzled for fun or simply just serve as pillows. Puzzle Bed: Designed by Karen Babel, the bed comes in the shape of a mattress that stands straight in four pieces to form the bookcase. 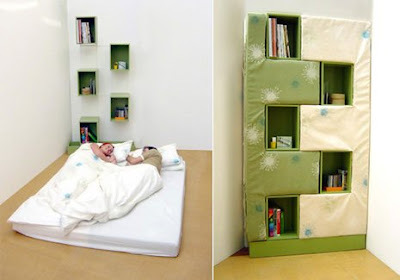 A perfect solution for very small spaces. 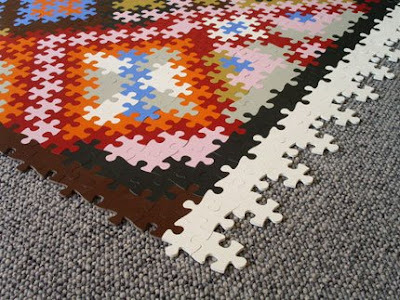 Puzzle Carpeting: "The modular carpet can be arranged just like a puzzle, though its slightly irregular pieces mean that there is more than one "right" way to do so." 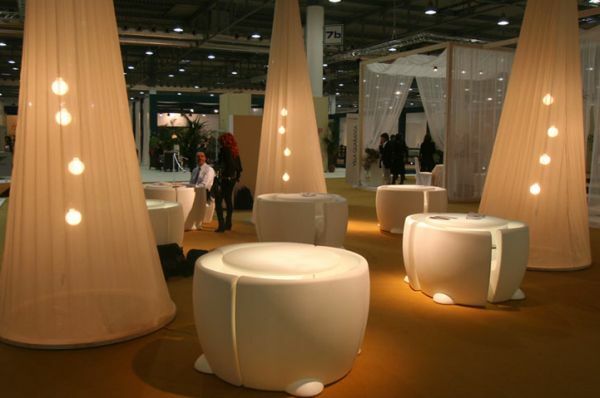 Puzzle Sofa: Creation of designer Ligne Roset, you can create a range of different groupings using up to four sofas. 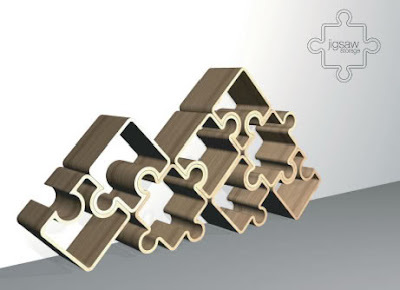 Puzzle Storage"These contemporary modular storage units gives one the chance to change the shape and look of their storage system at will." 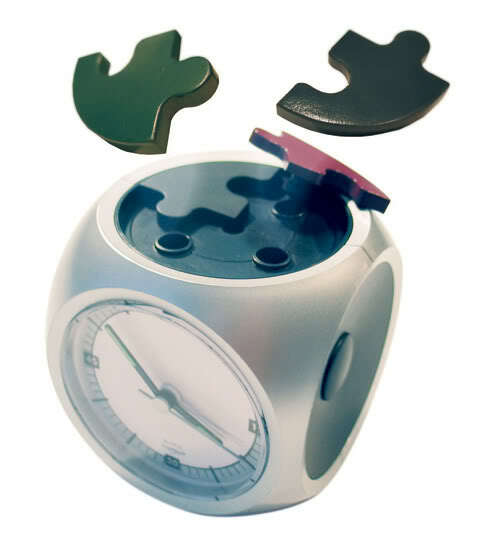 Puzzle Clock: Once the four puzzle pieces are pushed out of the base then the sound of the clock turns off only after you've returned them to the base in the appropriate position. 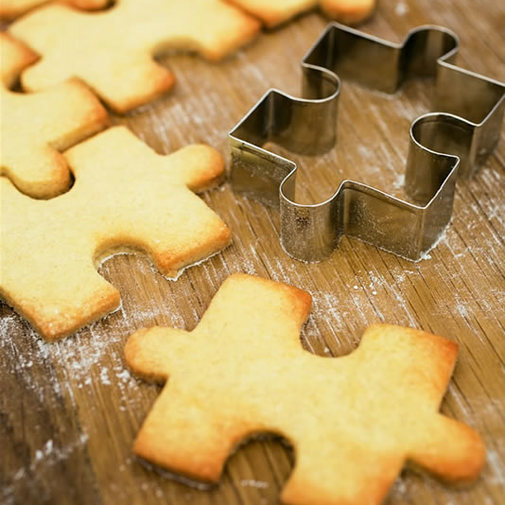 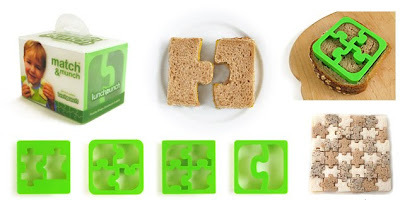 Puzzle Sandwich Cutters: "The cutter is higher than a regular cookie cutter so it easily cuts through two pieces of bread without flattening the sandwich." 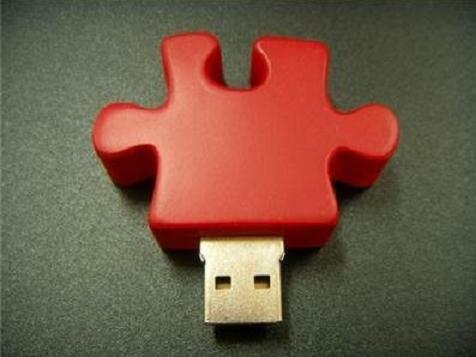 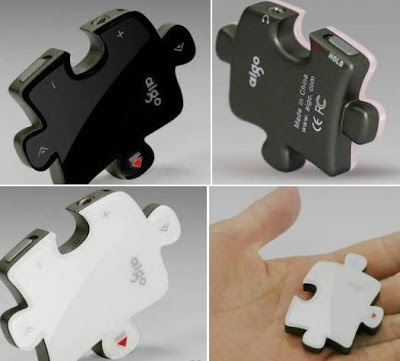 Puzzle Shaped MP3 Player: Cool MP3 player from Aigo inspired by puzzle pieces. 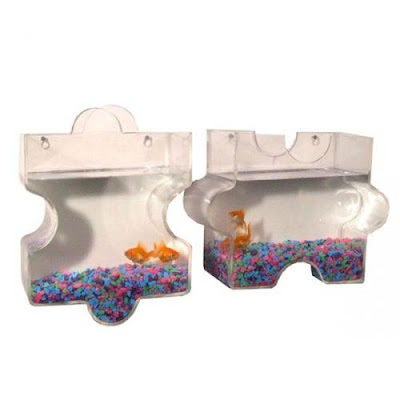 Puzzle Fish Aquarium: Just put these acrylic fish aquariums on your wall for decoration and to save space.